Fun, environments, community. 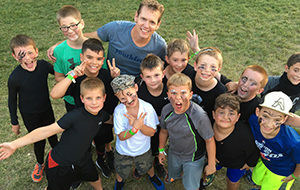 We do camp in a way that allows authentic discovery and growth for each camper. Serving the church through intentional relationships with youth workers by creating area networks and training events. Shaping the desire of youth for a more just and reconciled world through intercultural, Christian formation experiences. Registration for 2019 camp sessions is now open! We’ve added several new sessions, so check our schedule to find one that works for you. Register early to avoid being placed on a waiting list. 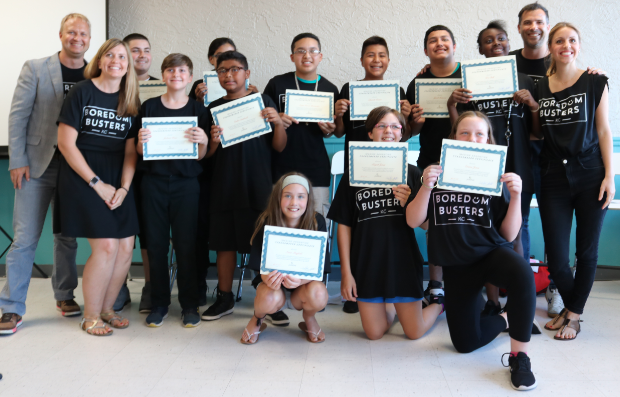 Take a look at our latest group of Youth Social Entrepreneurs! Imagine Argentine is a thriving program in Argentine, KCK and our youth have big visions for their neighborhoods. Check out their video and see how they are leading the way towards change. All year long, Youthfront needs volunteers to help us with our programs! Camp, Snack Shack, fundraisers and community events are some of the many ways you can volunteer with us. If you’d like to help, we need you! We believe God is always preceding. Our number one priority is to abide in God. Prayer is not just something we do, but a Person we are with. We are committed to loving and caring for one another. We believe the way we love one another is a sign and foretaste of the Kingdom of God and a witness to the world. We are committed to bearing witness to the great Good News of Jesus Christ in our words and actions. We want to make room for others that they may experience the reality of Jesus in our midst.